Government-owned defense contractor Israel Aerospace Industries Ltd. ( IAI) is no longer interested in acquiring Israeli drone maker Aeronautics Ltd., the former announced in a filing to the Tel Aviv Stock Exchange Thursday. 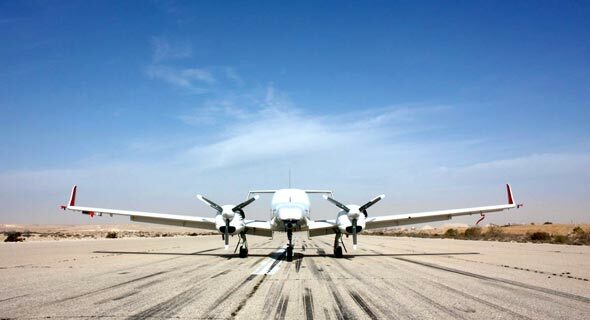 Founded in 1997 and based in the central Israeli town of Yavne, Aeronautics develops military drones and has more than 45 defense, military, and homeland security customers worldwide. The company cited “the requested purchase price” as well as the company’s board of directors as its reasoning. Israeli defense contractor Rafael Advanced Defense Systems Ltd. and Israeli businessman Avihai Stolero nearly doubled a previous bid for Aeronautics at a valuation of NIS 850 million (approximately $231 million), Aeronautics announced in a filing to the Tel Aviv Stock Exchange last month. In August, Aeronautics rejected a NIS 430 million (approximately $116.6 million) acquisition offer from Rafael and Stolero.